In case any candidate is unable to download the AP edcet hall ticket 2019 from sche.ap.gov.in/EDCET, she/he should contact the help line by giving the details concerned of the application submitted. Andhra University, Visakhapatnam will be released the hall tickets of the APEdCET 2019. The examination is scheduled to be held in the month of April 2019. The Candidate should preserve the hall ticket to produce it at the time of test and later at the time of entry into the course. Applicants should download hall tickets from website www.sche.ap.gov.in/edcet only. The appearance at AP Ed.CET – 2019 does not entitle any candidate to be considered for entry into the course automatically. 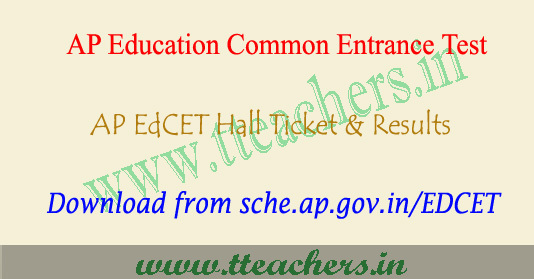 AP Ed.CET Hall Tickets 2017 has been available from April 2019 on the official website sche.ap.gov.in/EDCET. Candidates who had submitted the application form are eligible to download TS EdECET 2019 Hall Ticket. The link to download the admit card, directly, is also provided on this tteachers.in page. Candidates can stay with us for more updated on the AP EdCET admit card 2019. 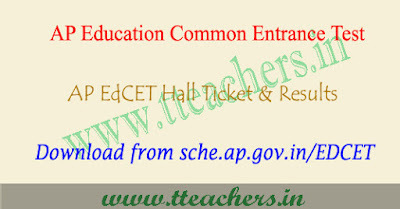 The hall ticket of AP EdCET 2019 is available online. Candidates have to download it and carry it as a hard copy on the exam day. Those who will not be able to produce the copy of the admit card, will not be allowed to take the edcet examination. The process to download the hall ticket are as below. AP EdCET Result 2019 will be out in the month of May 2019 check your AP Edcet Result 2019, on www.sche.ap.gov.in/edcet.. You can check it on manabadi.com and schools9.com.